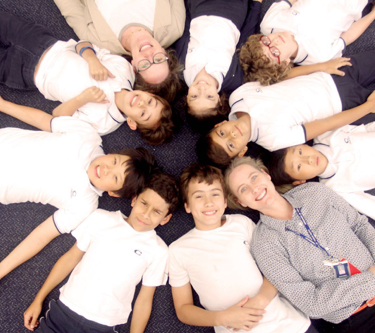 Chapel School was founded in 1947 initially as a Catholic elementary school for the children of American families living in São Paulo. Since then, our scope has expanded greatly and today we provide outstanding education to children from the USA, Brazil and all over the world. 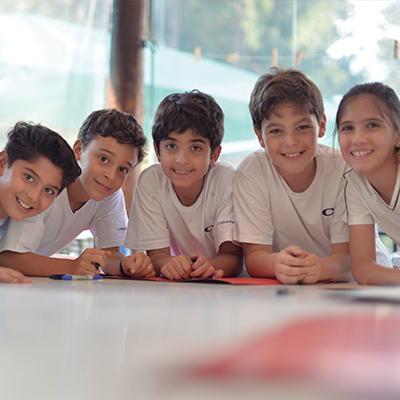 We proudly have early childhood through high school grades and offer the American, Brazilian and International Baccalaureate programs. The environment at Chapel reflects not only our years of tradition in academic excellence but also our appreciation for diversity, the nurturing of social emotional skills and emphasis on human values. Our student body is made up of learners from over 30 countries who bring a wealth of different cultures, languages and religions. 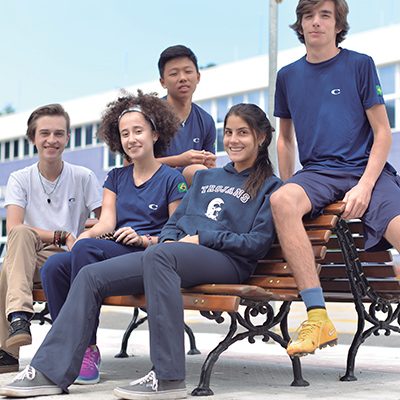 Our students learn from each other and form lasting bonds of respect and friendship. In a caring and academically challenging environment, Chapel provides an American-style education to an international student body. 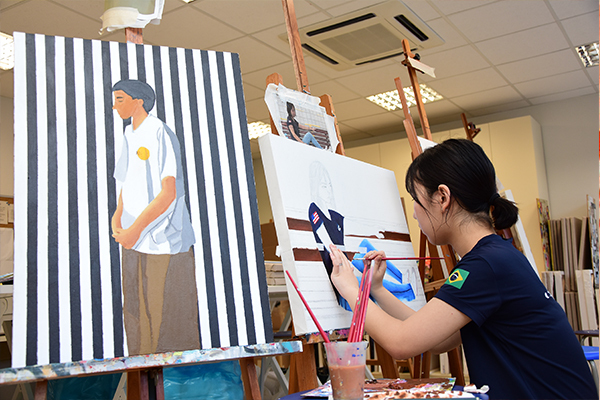 Through Christian values, students learn to make informed decisions, to own responsibility for personal actions and community needs, and to respect life and cultural diversity. Engage. Challenge. Support. Care. Prepare students for life. The experiences of early education are milestones in the life of the child and his family. It is during this phase of life that children should be free to observe, imitate, create, discover, and make mistakes in order to learn. Through these experiences they learn how to be creative, cooperative, responsible, to take risks and build empathy for others. Fluency in these dispositions will provide a strong foundation for children to become active, happy and successful adults. Chapel School is committed to providing this rich learning environment as well as differentiated support for our students. Only by looking at each child as unique, can we ensure that individual learning paces are respected and that all children are given opportunities to truly consolidate understandings about the world around them. 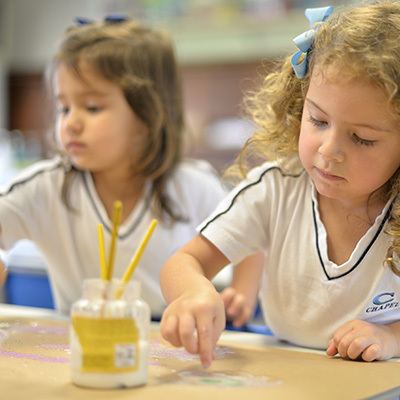 In Chapel School’s elementary classrooms, our pedagogical approach places the student at the center of learning. In every classroom, students work collaboratively, researching, sharing, comparing, and analyzing information as they build foundational academic and social skills. Students are encouraged to form their own conclusions and teachers facilitate students’ abilities to make personal connections to their learning. Students in grades 7th to 10th follow a program that will set foundational knowledge for future disciplines. Science and Mathematics are taught within curriculum that is spiralled and builds meaningful and memorable learning. As students move through grades, the content becomes deeper and more complex. 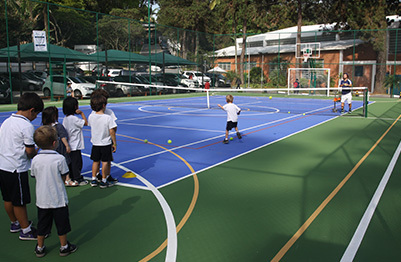 A rich variety of activities are offered after school divided in semesters. They are held on Campus and according to student age and demand. Finding pleasure in art as it awakens emotions within observers and creators, is developed in our art curriculum from the get go. The aim is to develop aesthetic awareness in students through the integration of feelings, imagination, and reason. The importance of the arts in our curriculum goes far beyond aesthetics, however. Students are encouraged to see themselves not only as admirers but also producers and beneficiaries of humanity´s collective works. Additionally we explore art within historical and cultural contexts as students see how art has shaped us throughout the ages. We believe that this study awakens individuals to new possibilities and perspectives that will lead him or her to question, understand and transform the world. 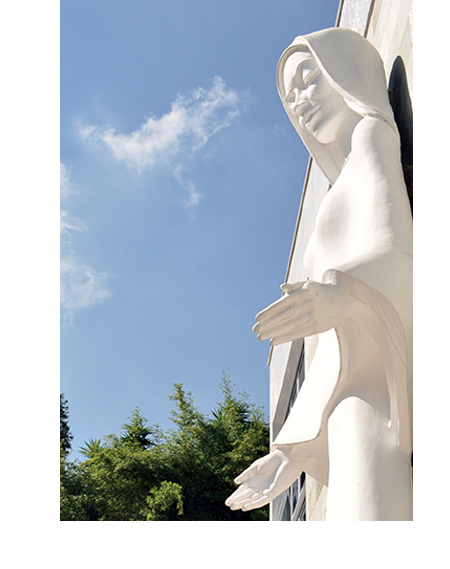 Chapel takes its commitment to art education seriously which is evidenced in our curriculum and across disciplines . We are fortunate to have curated over the 50 years of the Chapel Art Show Program, more than 300 works of art which are displayed all over campus . Our students are surrounded by authentic pieces and we take full advantage of this unique condition. 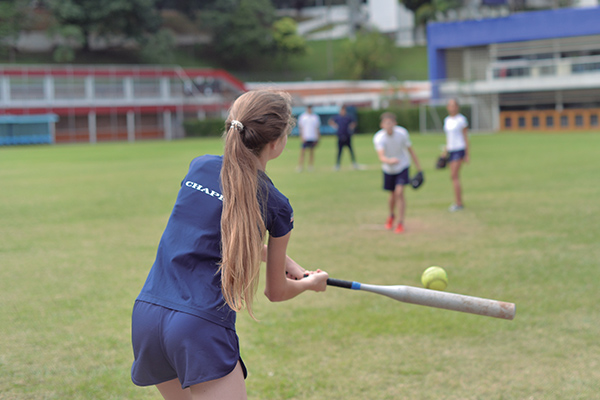 The pride of being part of Chapel School is characterized by the strong sportsmanship shown in tournaments between American schools in Brazil, of which Chapel has participated since 1970. Competitions happen twice a year and involve: basketball, soccer, indoor soccer, volleyball, and softball, with male and female teams. 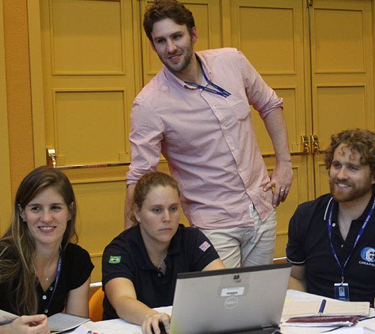 Two teams for each modality, Varsity (students over the age of 15) and Junior Varsity (students under the age of 15), train to participate in the championships. Chapel’s cheerleading squads complete the extracurricular athletic program offered at both Varsity and Junior Varsity levels. 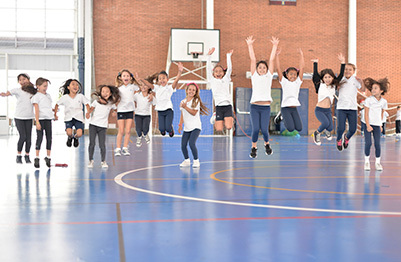 The focus of Chapel's sports program is to develop values outlined in the Mission statement and teach students soft skills such as: discipline, collaboration, respect, sportsmanship, and persistence in the pursuit of both individual and collective goals, group thinking, responsibility, and commitment. Thus, at Chapel, sports is a key component toward students' character development and for the formation of good individuals and citizens. Counseling services are offered through Chapel’s Counseling Program, which includes three full-time professionals: an early childhood and primary education I (from Pre-I to 4th year) counselor, a middle years counselor (from 5th to 8th grade) and a high school and university counselor (grades 9-12). Counselors support and advise students, parents, and teachers on their responsibilities, providing direct assistance to students in three aspects of their lives: academic, personal/social, and career. At Chapel, the social-emotional curriculum is as important as academics. Chapel teaches, evaluates, and promotes behaviors that support a safe environment with a focus on community, inclusion, and social responsibility throughout. We believe that the way a child learns is just as important as what he or she learns, that these processes go hand in hand. Education of excellence provides academic knowledge but must also develop personal responsibility for behavior, development of self-reflection and the ability to resolve conflicts. Chapel educators are not only highly qualified but also continuously engage in professional development both within Chapel and at other institutions. We value peer professional development and our schedules are set up to include common planning time so that teachers can collaborate effectively and consistently. Each week, a professional development session is held on such topics as best assessment practices, and strategies for differentiation. We also plan in time so educators can sit together and analyze student learning outcomes and adjust to meet needs. Chapel School sits on a spacious 10 acres of lush and green campus. with more than 40.000 m², and constructed area of more than 13.000 m². 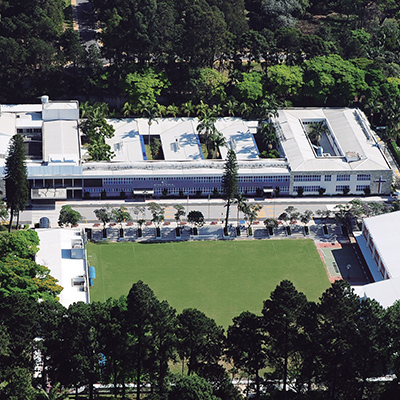 There is a regulation size soccer field; two sports gyms; climbing wall; a multipurpose covered sports court; a tennis court; a fitness center; an auditorium with capacity for 784 people; conference and videoconference rooms; a chapel, where morning and weekend masses are celebrated; a school nurse’s office; three new science labs and one integrated science room, inaugurated in 2017; two art studios, one being integrated with the environment; a music room; three playgrounds for different age groups; a cafeteria for students, teachers and staff; a snack bar available for high school students during breaks and after classes for all students; and women’s and men’s locker rooms in the sports gym. 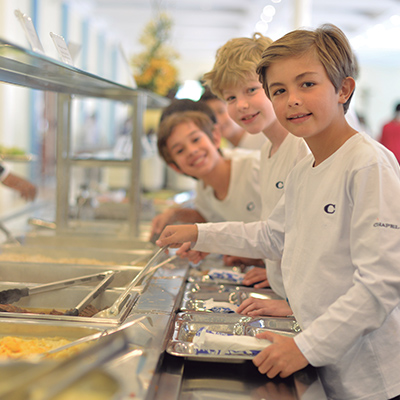 At Chapel School we place great importance on proper nutrition and our food service is fundamental in supporting well-being and learning. Mealtimes are seen as opportunities for relaxed social interaction while sharing healthy, delicious foods.